Starbucks has opened its first "signing store" in the United States, increasing accessibility for the hearing impaired in Washington, D.C. The location, which opened Tuesday near Gallaudet University, employs partially or fully deaf workers who can communicate using American Sign Language (ASL) in an effort to make the ordering process easier than ever for those who are hearing impaired. Baristas who can communicate with ASL wear "I sign" pins. The store also includes digital displays and notepads and ordering consoles with two-way keyboards so customers and employees can type back and forth. The location also celebrates the hearing impaired community in a few special ways. 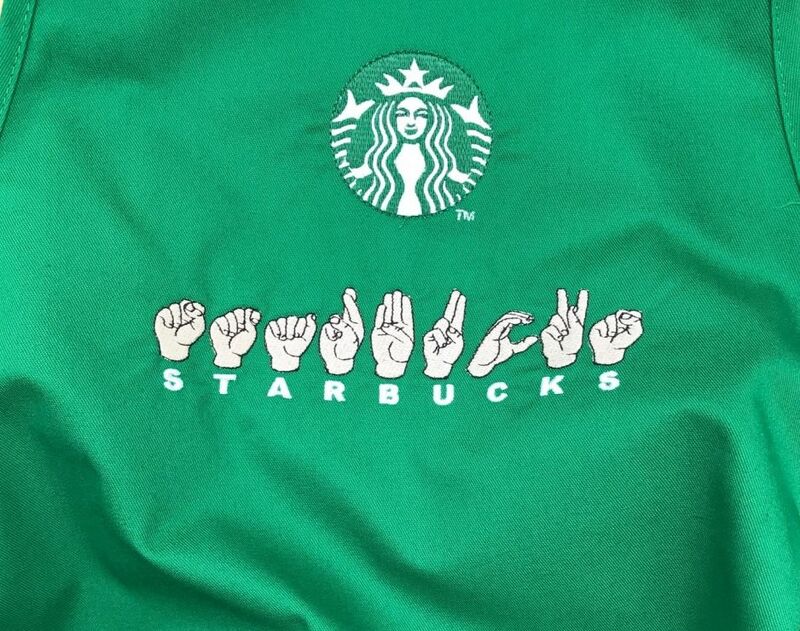 Baristas wear ASL aprons embroidered by a deaf supplier, and custom artwork and mugs show ASL for the word "community."